I took a long time debating internally whether this should be released. technically. Frankenstein was not the Monster, only the mad scientist who created him. The poor reanimated soul was only referred to as the Creature. So this is more directed at the person MAKING the coffee than the coffee itself. Which could be referred to as Creature coffee I guess? 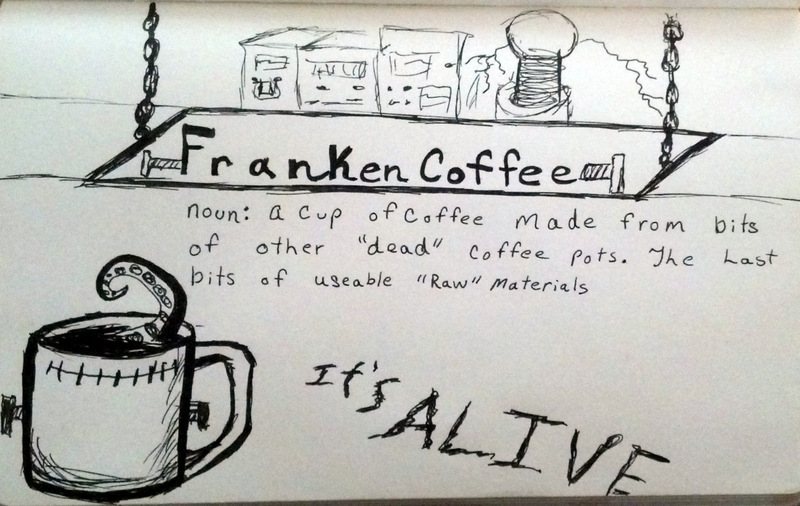 Either way I love the concept and am still making more of these Coffee Definitions, CaffiNaitions if you will. I still have a few more in process so be sure to check back! If you missed any of the others So far we had, Javatosis, Coffenundrum, Cafelexia! And WAAAY Back in reference to a little tentacle today we Had Cthulu coffee!